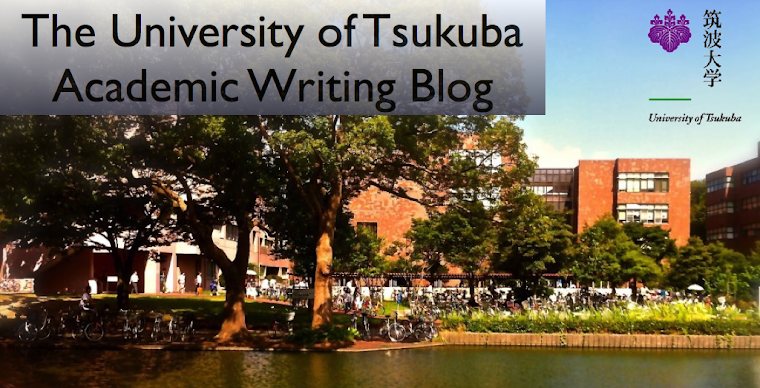 The University of Tsukuba Academic Writing Blog: My life at the university of Tsukuba by Ai M.
My life at the university of Tsukuba is marvelous. I have two points that make my life so wonderful. First, my friends are so funny. After a weekend or a long vacation, my friends tell a funny and interesting story. I look forward to talking with my friends. Additionally, my friends are all smarter than me. I'm not good at studying, but my friends help me to study or study with me. When I was a high school student, I liked to study alone. But now, I like to study with my friends more than alone. Furthermore, my friends have many great ideas to study and to live. I respect my friends! Second, there are many great circles. I belong to the Light Music Circle. I bought a new guitar in May 2012. I love it but I don't play well. My friends often teach me the way to play the guitar well. We have a concert once a month. I want friends to enjoy my playing in the concert. Other things make my life in Tsukuba University very wonderful. I want my life will be more fantastic. thanks! I envy you so much too! I like my friends too. Please come to my concert 2/16! I belong to light music circle(TOJO K-ON) too. I play the drums and also the guitar. What guitar did you buy? I'm glad to see you at a concert. I bought a jazz master! Our circle is PBCM! I read your posted sentences and think it is good that you have many friends who are kind and funny. I hope you to practice your guitar to be able to play it well. One of the friends is you! I think you are so funny! I'll teach you to play the guitar. It's good that you have a lot of good friend and respect them!! I'd like to go to your concert!! When did you start playing the guitar? I started playing guitar when I become a university student. please come to my concert! Hi,Ai.You have great friends! I envy you. Please tell me your friend's funny story. Kyon said "oil is delicious". I like Ai's guitar play!!!!! Princess princess is so difficult! I found that you belong to light music circle. I want to go to your concert, so when the next live take place?